Mars is transiting in its own sign Aries on March 23, 2015. Mars is a powerful planet which greatly influences our lives. Its transition in Aries will affect different signs differently. But, what kinds of effects these could be? Read about them with astrologer “ Acharya Raman ”. The chief of planets, Mars will enter in its own sign Aries on March 23, 2015. This will affect different sign in the following ways and if you are going through period or sub-period of Mars, you will feel them prominently. Read Your Horoscope 2015 Now! 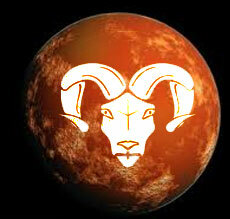 Aries natives of furious nature will feel more angry after arrival of Mars in ascendant. You will want to dominate others. Arrogance will increase which will remain unfavorable. Body temperature will be higher than normal, fever may also come. Take care of your blood-pressure. Pain in eyes may trouble you. You have to stay alert, as any wound is possible on head. Success will come at workplace and enemies will get defeat. You will share a good relationship with colleagues. Read Aries Horoscope 2015 Now! This malefic (Marak) planet will come in twelfth house for you. This will give positive results because of its position in its own sign. Auspiciousness will prevail in personal life. Disputes are likely to occur with brothers. Your spouse will get success at workplace. You will be able to control expenses. You may show more anger on your servants which may also lead to any dispute. Incubus may disturb you during nights. You may also have to face sleeplessness. Read Taurus Horoscope 2015 Now! Mars transit in Aries will remain great for business and job. Support will come from elder brother and your relationship will strengthen. If you are going to participate in any competition, there are great chances of getting success. It would be better to drive slowly. There are also good chances of accomplishing old halted tasks. This time you should try to get your money back. Results may come in favor after doing little efforts and planning. Health of your uncle may deteriorate suddenly. Read Gemini Horoscope 2015 Now! Mars always create great results for you. With its transit in Aries, it is bringing great chances of improvement in work efficiency and progress in job & business. Excess of anger may remain in you. You may lose tempor on some small matters. You have to be cautious about your heart and blood. Losses are possible if you are suffering from diabetes and heart problems. Disputes are also likely to arise at workplace. But, overall this transit will remain favorable. Read Cancer Horoscope 2015 Now! Presence of lord of ninth house in ninth house is considered auspicious. Many of your works will proceed toward accomplishment. You will contribute in works related to religion and Karma. Visiting Lord Hanuman temple regularly will remain great. Problem of backache is possible. You may get some good news regarding land or property. You may meet some of your old friends. Your name and fame will increase at your workplace. Generally, this transit is going to remain auspicious. Read Leo Horoscope 2015 Now! Mars is the most inauspicious planet for you, since it becomes the lord of eighth house. But, position of lord of eighth house in eighth house is not considered inauspicious. You should lead a restrained life this time. Sacrificing anger and fury completely is the best solution. Exercise regularly and take care while walking. Financial losses are possible, but not necessary. Chances of retrieval of sudden money are also there. Take care, as disputes are possible with younger brother. Read Virgo Horoscope 2015 Now! Time is good for your personal life. Benefits will come at workfront. Some new relationships are also likely to arise. Arrival of income is possible from life-partner. Your sexual desires may increase. Anger and frustration will also increase. You may get into a small dispute at workplace. Control your arrogance and talkative nature. Don’t lie and maintain good relations with your subordinates. Read Libra Horoscope 2015 Now! Ascendant is transiting in sixth house in its own sign. This transit will remain auspicious. Small health problems are possible. Disputes may arise with low class people. You will dominate enemies and defeat them. You may have to travel out of town for some time. Expenses are likely to occur on unnecessary issues. It would be good to control anger and impulse. Leave your stubborn nature for some time, its excess will create losses. Read Scorpio Horoscope 2015 Now! Mars will transit in fifth house for Sagittarians. It is the lord of fifth and twelfth houses for you. Chances of any sad news or loss are arising from children. Time is also not very appropriate for your love life. Chances of loss of respect are there due to exposure of any previous relationship or event. Time is good for making new friends and accomplishments of Mantra Yoga & meditation. Read Sagittarius Horoscope 2015 Now! Transit is good for work, business and finances, but it may give some troubles to elder family members. Any good news is likely to come for land and property. Disputes are likely to occur in personal life. Differences and tiffs may arise on small things. You should try to be restrained. Performing Yoga and meditation would be favorable. Avoid unnecessary arguments and don’t try to resolve anybody’s dispute. Read Capricorn Horoscope 2015 Now! This transit will remain favorable for you. Dialogue with people will remain effective and productive. You will get fame and reputation will increase. You may go for some long distance journeys. Support will come from brothers. Enemies will dominate. Your efficiency will improve and you will do great at workplace. Your writing skills will improve, if you are associated with this field. Read Aquarius Horoscope 2015 Now! There are good chances of financial gains. You will have a tendency to spend on religion. Relations may develop with distant living person or organisation. Chances of sufferings are there for children. Some health troubles are also possible to you. Small theft is possible at your home or you may forget about the position of any item. You may also get a reward for some work. Read Pisces Horoscope 2015 Now!